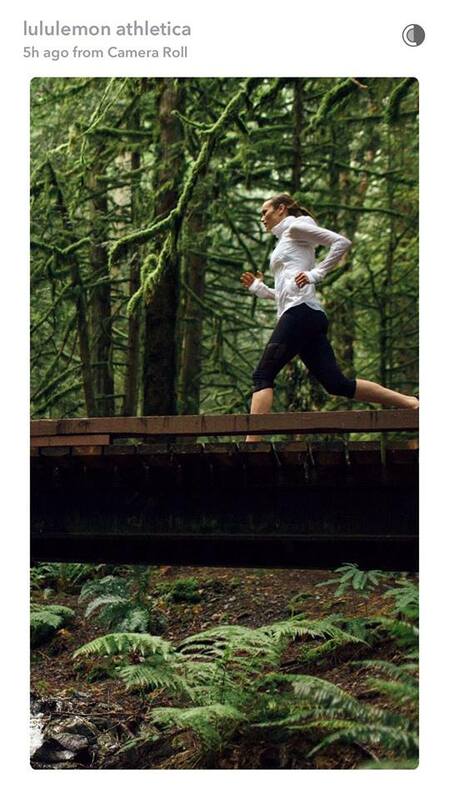 Previews on lululemon's Snapchat today - the Goal Crusher jacket. Also shown are Goal Crusher crops. 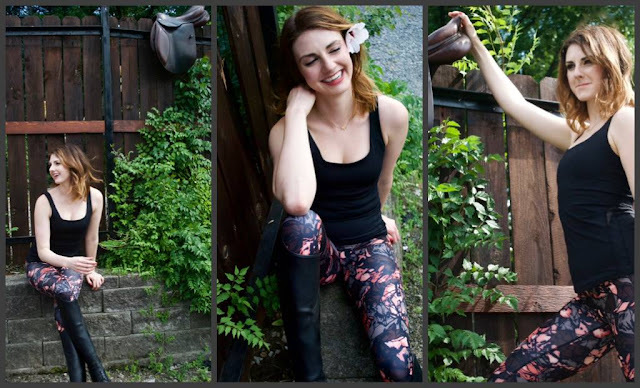 Trapeze Twist Tank with Dottie Tribe Pace Rival Crops. I bought the Fast and Free Jacket 3 years ago which is very similar to the Goal Crusher shown here. 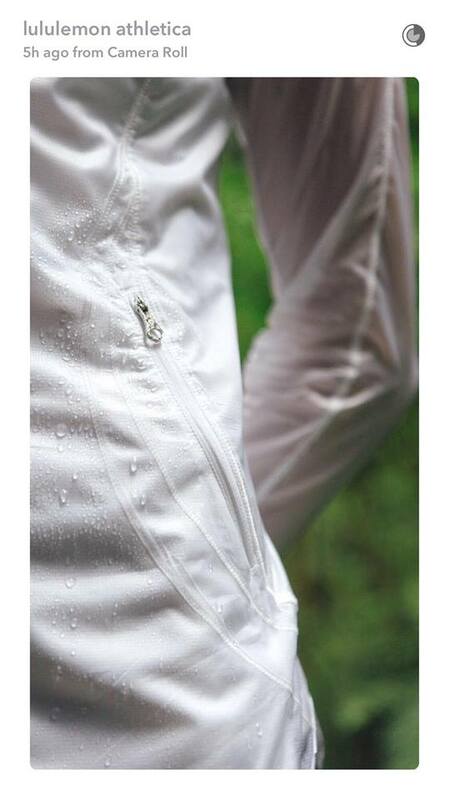 It's this type of jacket that sets LLL apart from it's competition with this type of design and detail. I would be very interested in the Goal Crusher if I didn't have the Fast and Free which I love in a very pale light blue colour. I was worried this jacket wouldn't be practical as it is so very light and see through but I was wrong. 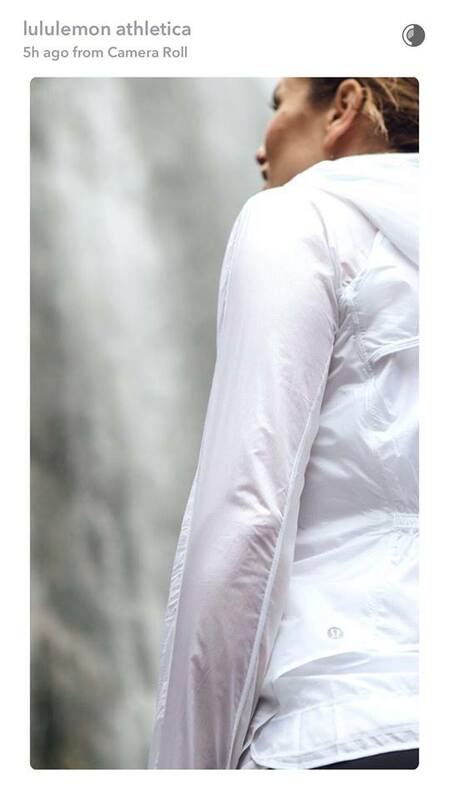 It's not going to keep you dry in the rain or warm when it's cold but there are days in the summer when all you need is this and can easily be tied around your waist when not needed anymore or rolled up and stored in your purse. 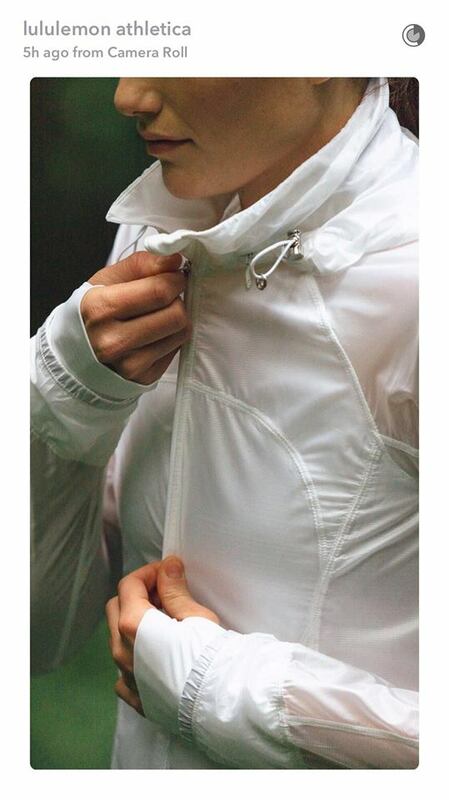 It's about time we got a summer jacket from LLL and maybe before the summer is over we will get a heavier, but lightweight fabric, technical running jacket. 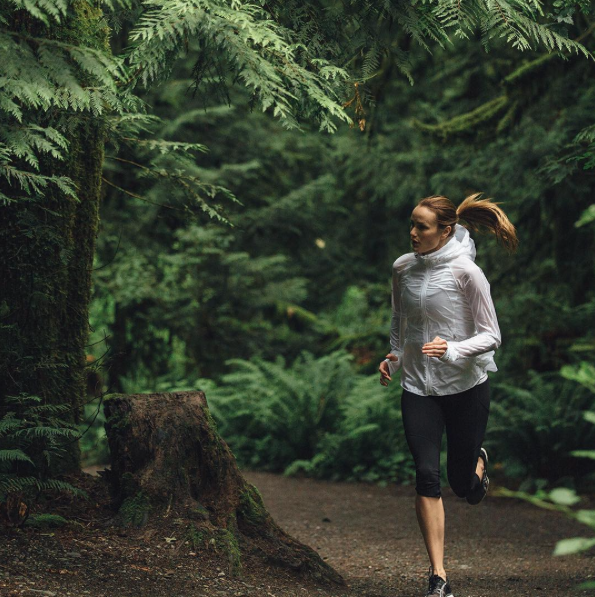 It has been a very disappointing summer for jackets, just take a look at Canada's selection of jackets online, only 4 and none are technical running jackets. That jacket looks similar to the Run Wild jacket from a few years ago - minus the pretty detail underneath of the lacy look. I guess I don't get these type of jackets because we don't have the type of weather where I live that would utilize them maybe (So Cal). It does look cute though. Goal crusher crops look promising. Been waiting for a while for a shorter crop. Goal crusher jacket look a little too busy in the back. Will wait to see it in person before judging tho. I love the look of the Goal Crusher Jacket as it is a more tailored design vs a cinched waist jacket design. 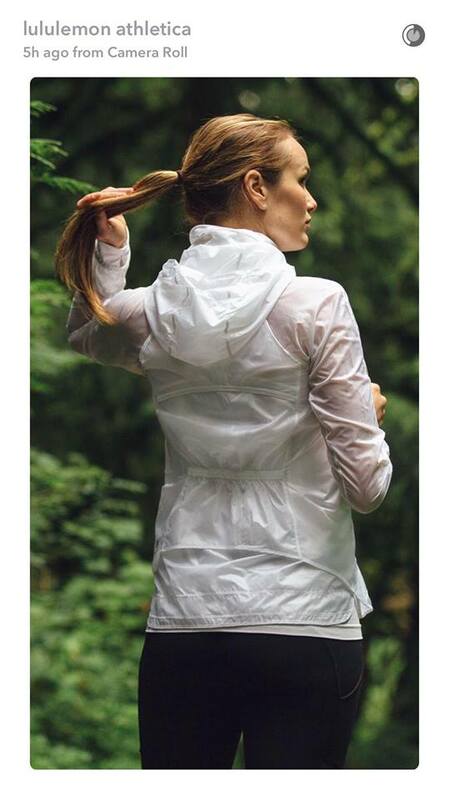 I would like this jacket in a lightweight fabric with mesh lining as I would get more wear out of it.